In this mini-series on young people in/of poetry, I have made my own observations about the importance of poetry in the lives of young people and I have interviewed HoCoPoLitSo’s Student on Board, Katy Day about poetry in her life. 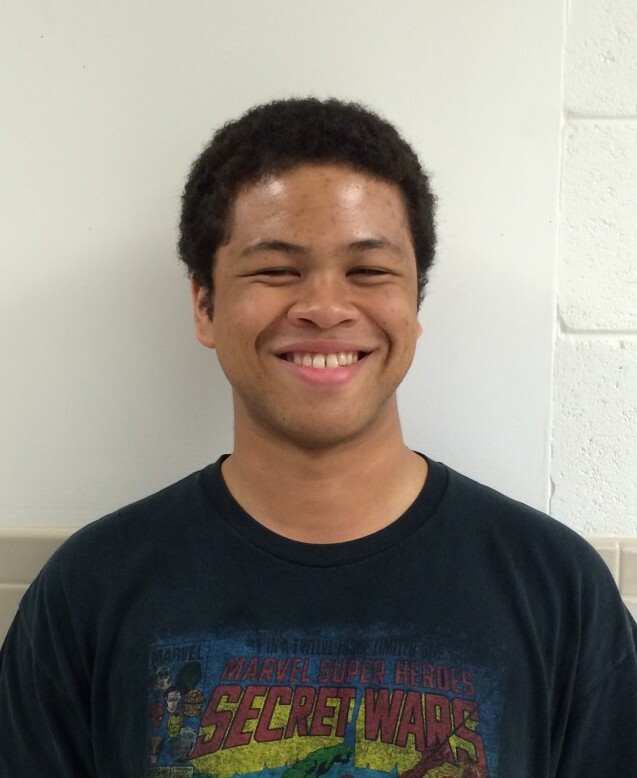 Next up is HoCoPoLitSo’s student intern, Faheem Dyer. What do you get out of attending poetry and literary events, such as the Rita Dove and Joshua Coyne event last year? I think the most profound thing I gained was the direct exposure to talent and experience of Ms. Dove’s and Mr. Coyne’s caliber. More than that, though, I think the chance to see these two people share their insights and ideas on their crafts with an attentive, engaged audience helped deepen my understanding of those art forms, both as a consumer and aspiring creator. I believe that being well-read in literature is the most important part of being a well-educated and informed individual. Whether it’s lofty philosophical theory, or raw poetic passion, all human knowledge and experience is cataloged with language; writing is one of the most important vessels of thought, and to make oneself a student of that is to put oneself at the heart of it. That is invaluable in growing as a person, and it is absolutely essential to a robust education. What’s your favorite work of literature (a particular poem, poet, or novel maybe)? I personally never get tired of Leaves of Grass by Walt Whitman, specifically “Song of Myself.” The wild, loving, and almost holy way Whitman addresses the nature of the world around him is beautiful and altogether profound and spiritual on a deeper one. Do you have any thoughts on what literary organizations like HoCoPoLitSo can do to engage young people? I may not be able to speak for all young people, but I know that if I were not already interested, simply being shown poetry in ways that demonstrate its continued relevance could easily engage me. Also, in introducing poetry to others, I would keep in mind what priorities and temperaments I’m trying to appeal to, because there is something for any young person of any mindset to gain from poetry, but the ways to make it appealing differ greatly from circle to circle. You can read Faheen’s review of HoCoPoLitSo’s 2014 Lucille Clifton Poetry Series event when Rita Dove and Joshua Coyne read and performed together on stage at Howard Community College. As a teacher, I am envious of teachers who get to teach students like Faheem. His commitment to poetry signifies more than his interest or even “skills” in language and literature – for me, it signifies the potential for a deep and wide understanding of the world that I believe literature students like Faheem can cultivate. Poetry and other forms of literary arts ask us to look outward – at the world, at people, at history, at cultures, at empowering ideas as well as dangerous ideas. At the same time, they ask us to look inward, too – to think, to feel, to ask questions of ourselves, to imagine, and to nurture our interior lives. Yes, poetry can do that. And Faheem knows it. By Laura Yoo in Education, Event, Guest post, Lucille Clifton Reading Series, Student programs on April 13, 2015 .